You should signal to turn ______ before beginning the turn. Lane reduction. The right lane ends soon and traffic should merge left. 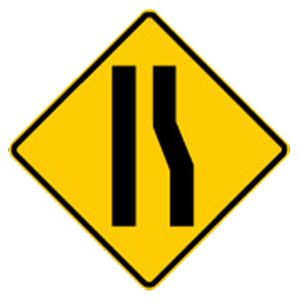 A warning sign is usually yellow with black markings. This sign warns that the number of lanes ahead is reduced and that traffic will need to merge to the left. Only use your horn when it is necessary to avoid collisions. 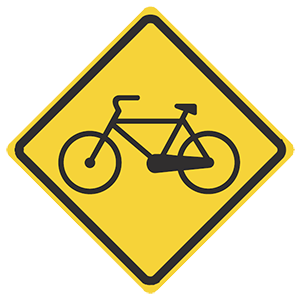 Do not use your horn if a driver or bicyclist is moving slowly and you want him or her to drive faster or get out of your way.